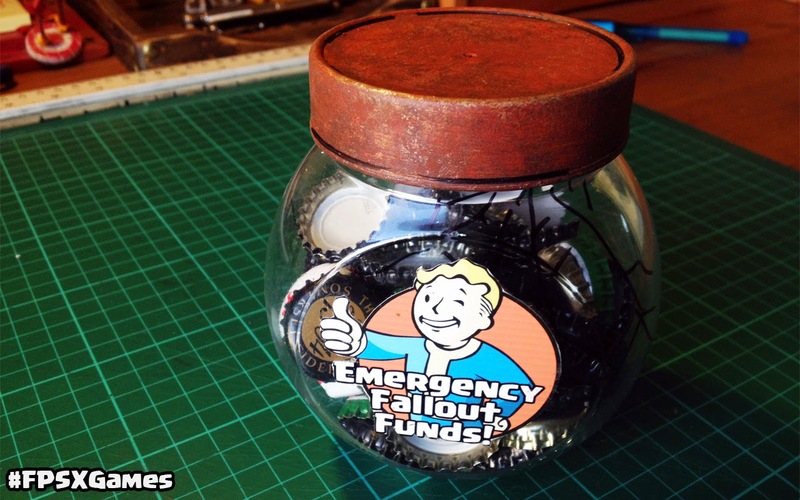 I've put together a simple project to make your own emergency Fallout piggy bank. In the Fallout video game series, bottle caps are used as currency. What better way to insure survival in the event of nuclear fallout than to make you own emergency bottle cap piggy bank saver! This project is really simple to make. Glass or plastic jar/container with lid. Bottle caps, can be found at local bars. Watch the video on how I made the Fallout piggy bank saver.